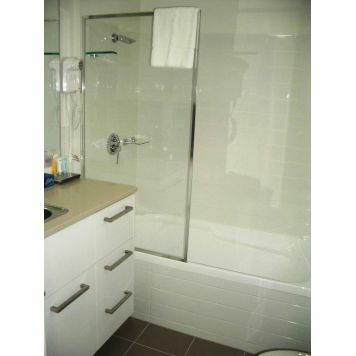 Q Resorts Gabba Central Apartments is a part of the chain Q Resorts Hotels and Apartments and offers convenience, variety and a full range of facilities in Brisbane's bustling Woolloongabba location. Staying here on your next business trip, holiday or weekend away means that you are close to everything! What better way to see all of what Brisbane has to offer than by staying at this four and a half star apartment hotel offering a superb mix of 60 studio (hotel room), one and two bedroom serviced apartments and a range of hotel facilities. All serviced apartments are well appointed with modern amenities with some apartments featuring full laundry facilities. 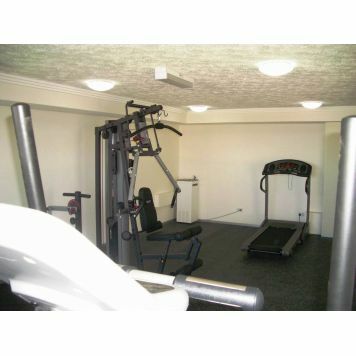 Other great hotel facilities include a Gymnasium/Fitness Room, Cinema Room, Rooftop Swimming Pool, Sauna and BBQ area. The ground floor of the apartment hotel offers several retail facilities including a supermarket for your quick grocery needs, a coffee shop, a pharmacy, Indian Restaurant, Gift Shop, Hairdresser, Beauty Salon and an ATM facility! 1 minute away Our closest neighbour, Gabba, the world famous Cricket and AFL venue. This makes Q Resorts Gabba Central and ideal sport accommodation choice if you are visiting Brisbane for a Cricket or AFL game. 10 minutes away The Brisbane CBD, with hundreds of quality shops, eateries, fine dining, bars and nightclubs. 12 minutes away Suncorp Stadium, home of the Brisbane Broncos Rugby League, Queensland Reds Rugby Union and Queensland Roar Soccer teams as well as major concerts. Q Resorts Gabba Central is also located within close proximity to the Mater Hospital, Princess Alexandra Hospital, Royal Brisbane Hospital & Greenslopes Private Hospital. UQ, QUT & Griffith Universities are also just a quick bus ride away. The Gold Coast is also easily accessible by either rail or car. 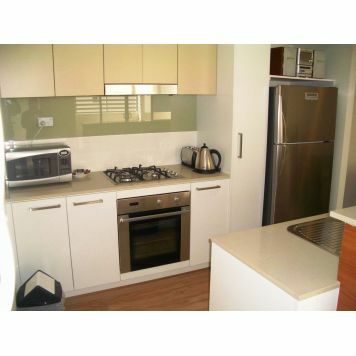 With this sort of convenience, Q Resorts Gabba Central is an ideal accommodation choice! 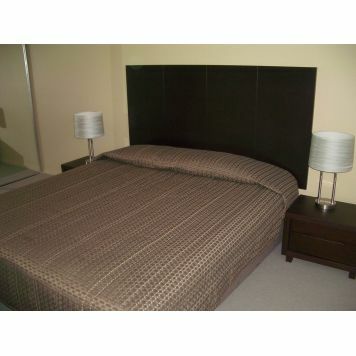 Stay directly opposite The Gabba Stadium in a modern Hotel Room with great guest amenities. Fantastic on site facilities including roof top pool, gym, sauna and an array of retail facilities on the ground floor. Stay directly opposite The Gabba Stadium in a modern Studio Room with great guest amenities including kitchenette and laundry. Fantastic on site facilities including roof top pool, gym, sauna and an array of retail facilities on the ground floor. Other public transport facilities such as bus and train are located in close proximity. Public Holiday & Sunday to Sunday 9am to 3 pm. Free Parking - When arriving at the property, please park in Gibbon Street (off Stanley St), our Reception is located in the centre of the Gabba Central complex. Upon check-in you will be provided a parking Voucher for 1 space in our underground security parking. A Taxi from the airport should cost between $34 to $40, depending on traffic conditions and take about 30 minutes. If driving from the Airport via Kingsford Smith Drive, this will turn into Ann street, from Ann St turn left over the Story Bridge, stay in the middle lane and come down Main Street Kangaroo Point, after you cross over Vulture St turn right into Stanley St (get in the far left hand lane quickly) then turn first left into Gibbon St.
Gabba Central will be on your left, park your car in the street and pop into the Reception (located in the centre of the complex) identified by the large RECEPTION sign, when you check-in you will be given directions to the property car park if required. If you are getting a bit lost, just call our reception desk for additional instructions! Across from the property is the Brisbane Busway, the CDB is about a 10 to 15 minute bus trip were you will find the Treasury Casino and Queen Street Mall with its great shopping, cinemas and the new David Jones Department Store. Southbank parklands, QPAC - Queensland Performing Arts Centre, the Museums and Art Galleries are only about 5 minutes via the Busway. Also you can enjoy a trip on the Brisbane River on the CityCat from Southbank, its a great way to see our wonderful city. Ask at our reception for city maps and more things to see and do around the city!